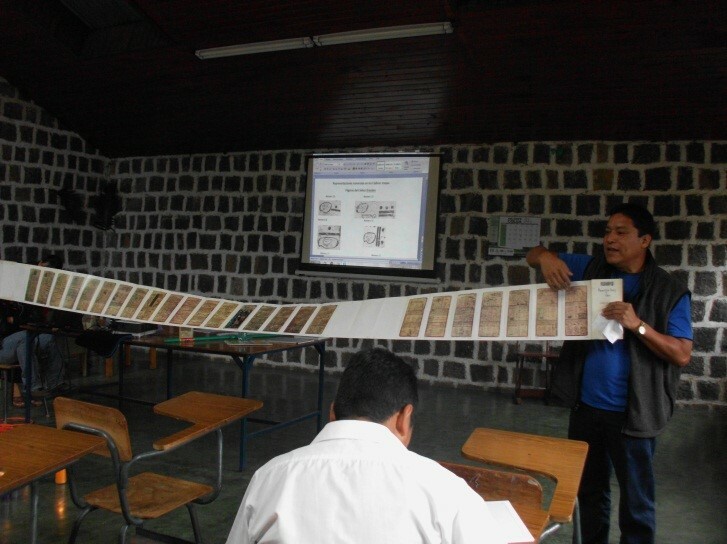 This workshop on the calendar and numeration in the codices lasted from morning to evening. 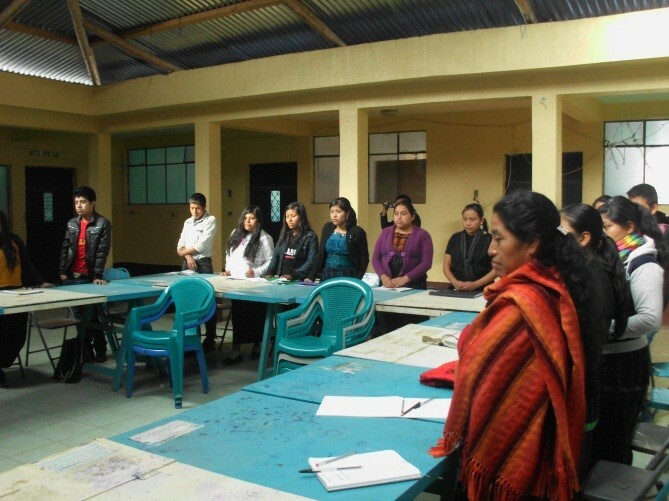 The participants were twenty-six leaders, men and women from Maya communities of the highlands, who were taking courses for a diploma in Political Formation of Indigenous Leaders from the point of view of the Maya. 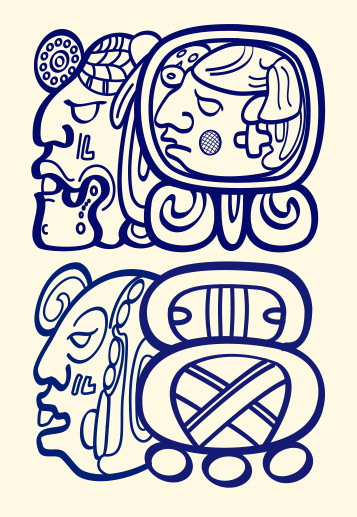 I was given the opportunity to work with them to develop the theme: the calendar from the codices. Over the course of the workshop I was very pleased to observe that the participants were very energized and interested by the subject, leaving us eager to continue this work at a later date. Santiago Atitlán, Sololá, Guatemala, 7 Aq’ab’al 16 Pax (February 12, 2015). 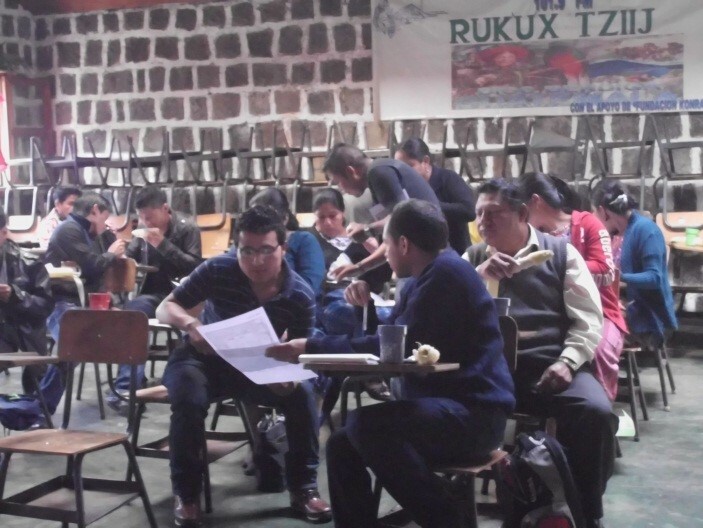 Twenty-two people participated in another workshop on the codex calendars, leaders from their own communities of Santiago Atitilán and San Lucas Tolimán, speakers of Tz’utujiil and Kaqchikel Maya. The workshop lasted all day, and all of the participants were very focused during the entire workshop. At the end, they formed groups and presented their experiences comparing their knowledge of the codex calendars with that of their grandparents. All of the participants were youths, young men and women who appeared quite pleased with the subject of our (the Maya) calendar. We look forward to returning to work with them and members of their groups. San Pedro Cutzan, Chicacao, Suchitepéquez, Guatemala, 11 Keme 19 Kumk’u (March 27, 2015). 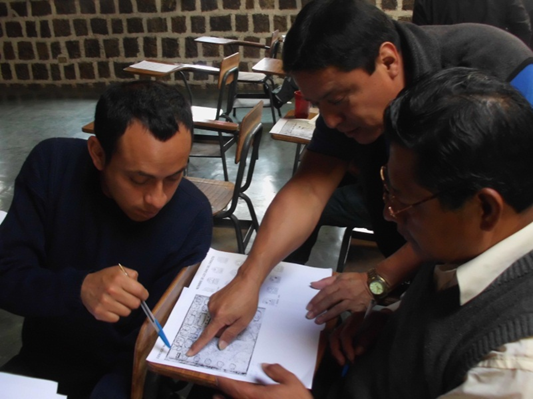 The most recent workshop was about ancient Tz’ib, instruction on Maya reading and writing through an introduction to Maya epigraphy. 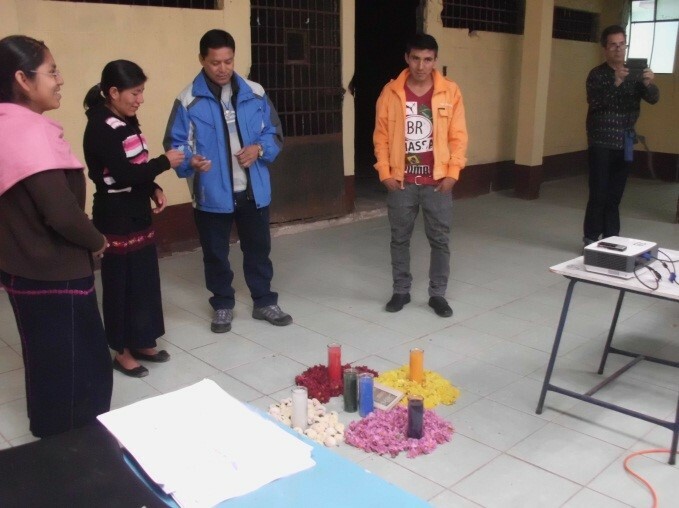 The Tz’utujiil speaking students were beginners from the village of San Pedro Cutzan in the municipality of Chicacao, Suchitepéquez, the southern coast of Guatemala. 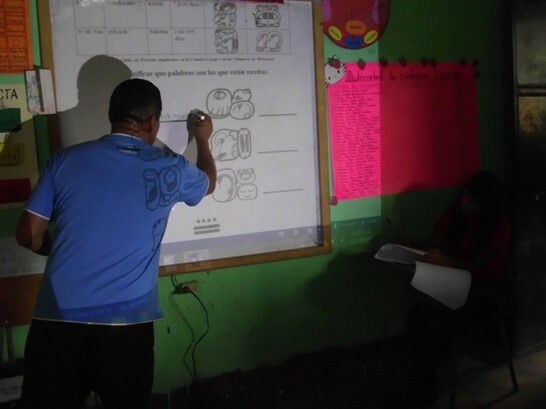 The students were excited throughout the day, and each one learned to write his or her name in Maya glyphs. The director of the school was very happy and pleased with us. She asked us to stay in contact for future activities of this kind. 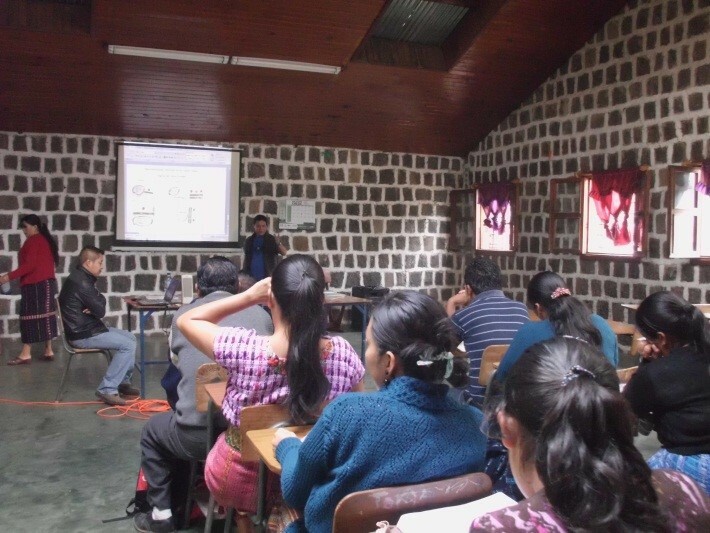 There were 57 student participants and 3 teachers in this workshop for a total of 60.